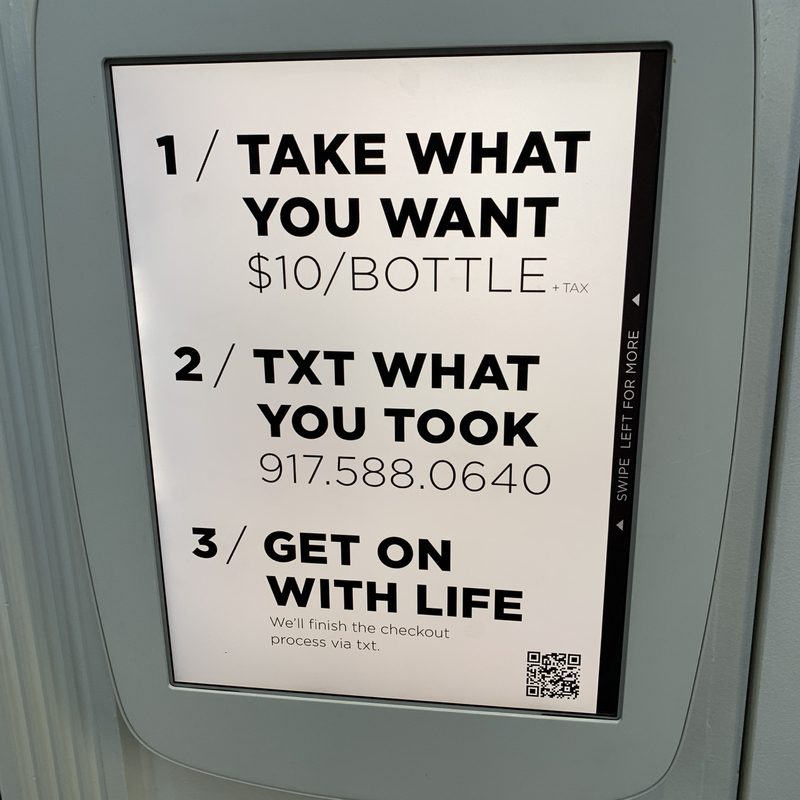 A single-brand convenience business opened last year in Tribeca, New York, offering their beverages from a small shop that runs cashless, without a sales counter and in-store staff. The business is primarily a marketing front for the hip healthy beverage brand. Their cashless process is an honour system. They expect theft. 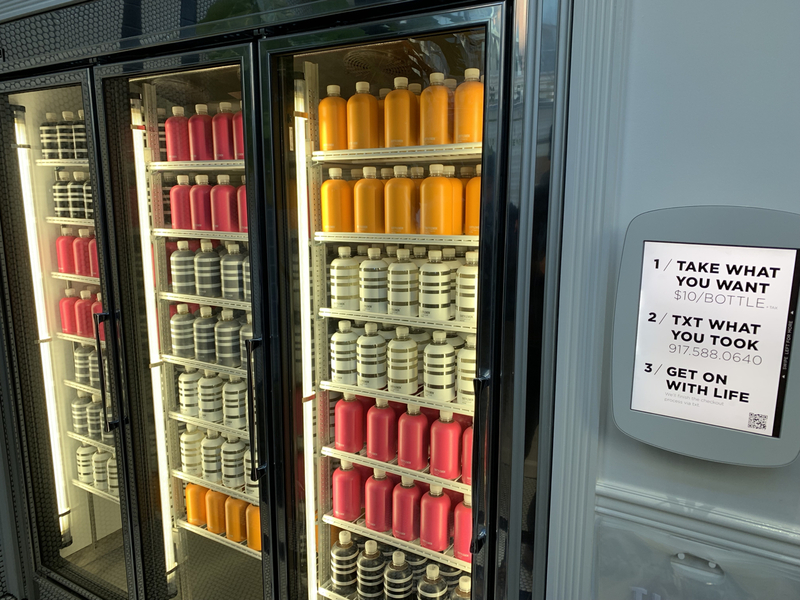 They ask you to choose your drink, text them and they send a link for payment. The text that I sent upon choosing a drink failed, several times.The process is messy and cumbersome. I suspect they want the text so they can market to you. However, there are other ways they could have made that work for them. Regardless of what people think, cashless is gaining in popularity among retailers and shoppers. 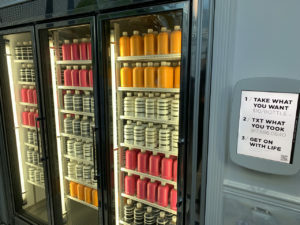 While the example here is not ideal, it has gained media interest because of the connection with the no in-store staff approach. Over the last year the number of retailers switching to cashless in the US has spiked. This will happen in Australia. …then you can’t get through anyway. Maybe this is actually a free give away and as you say they are simply after your contact info. You say your texts failed……perhaps they didn’t. Perhaps they were able to harvest your details without the hassles of replying and/or taking your money. Some may succeed and that could cover some of their costs. 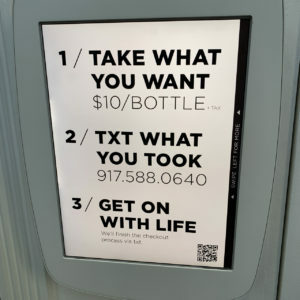 Just as an aside, would you normally pay $10 for a drink ? Lance, they are funding it out of their marketing budget so I suspect you are right. No I would not pay $10 for a drink. I took the turmeric drink. That thing burned. Sorry to disappoint the believers of the cashless society but I think this is going to be like when I computer was installed in my office 35 years ago and we were told that the office will be a paperless office within a year. Today you still have paper and in some instances even more than before. Dream on! Colin I’ve not seen anyone here claiming belief in a cashless society. What I am chronicling, ion a small way, is instances of and the trend to cashless retail. The pace toward this has picked up in the last year. Colin, Mark, The trend certainly is toward more cash less in everyday use.It is encouraged by the availability of acceptance of credit providers such as Amex to more customers buying travel space on public transport (another service being eroded from the newsagency channel) and heaps of other small purchases.Large purchasershave always had preference in payment by card however when it gets to the fob pocket/purse daily purchase we now have to look at how we challenge this in what has been basically a cash business. Payments over the past two days of Lotto wins have had many newsagents placing the payment by credit the winners eftpos/ credit card rather than hold large cash reserves or have to ask customers to wait until they can replenish their cash base. On the other hand cash is a commodity that people trust. It gives them privacy, therefore security and acertain amount of independence. It is also a guard against Big Brother which is most important to a lot of people migrating into a foriegn land. ep crazy World just another transition that we have to consider and like most transistions we don’t know what the majority percentage split will be when things settle. 60-40 Cash Versus Card or whatever?